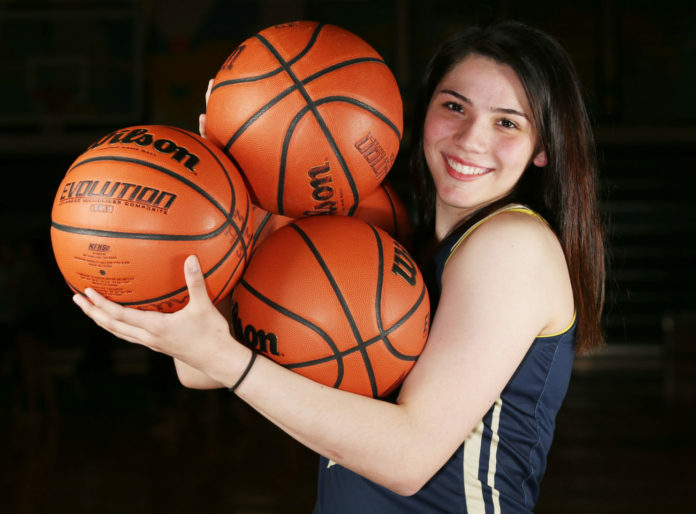 McALLEN — Regardless of where she was on the court, the basketball eventually found its way to Hidalgo forward Barbie Gutierrez. This season, Gutierrez was the unanimous selection as District 32-4A’s Most Valuable Player, scoring 17.2 points per game. But much was expected of her and her Pirates teammates on the defensive end. Gutierrez’s eye-popping defensive numbers (11.1 rebounds, 5.3 steals and 2.2 blocks) made the senior the choice as The Monitor’s 2018-19 All-Area Girls Basketball Defensive Player of the Year. Gutierrez is the second consecutive 32-4A unanimous MVP coached by Arjona. One of Arjona’s daughters, Ashley, was the Most Valuable Player during the 2017-18 season. With Ashley Arjona last season, the Pirates won 31 games with 13 of them coming in district play. This year’s club reached territory that last year’s team was not able to achieve. Despite the loss of Arjona and an injury to key sharpshooter Elisa De La Peña, Hidalgo won 35 games and rolled through its district with an undefeated 14-0 record. The Pirates, who were the last team standing in the third round of the playoffs last season, had their 2018-19 campaign end in an all too familiar fashion. Hidalgo dropped its second-round game to Crystal City, 56-53. Crystal City was the same team that ended the Pirates’ postseason in 2017. Losing in the playoffs won’t be Gutierrez’s lasting memory as a Pirate.